INTENTIONALLY PAUSE & CREATE SPACE FOR YOU! When we give ourselves the time to break away from the hustle and bustle of our daily routine and travel to a land where natural beauty and healthy living abound, we cross the threshold of ordinary life and enter into a world where the potential for creating a healthy, harmonic and balanced state of well-being exists. We invite you to participate in this extraordinary journey and indulge in practices to de-stress, quiet your mind, nourish your body and feed your soul. Tango Mar Boutique Beachfront Hotel & Villa is a gem, offering the intimate exclusivity of a small, deluxe beach resort on a vast site where you can find a space to call your own. 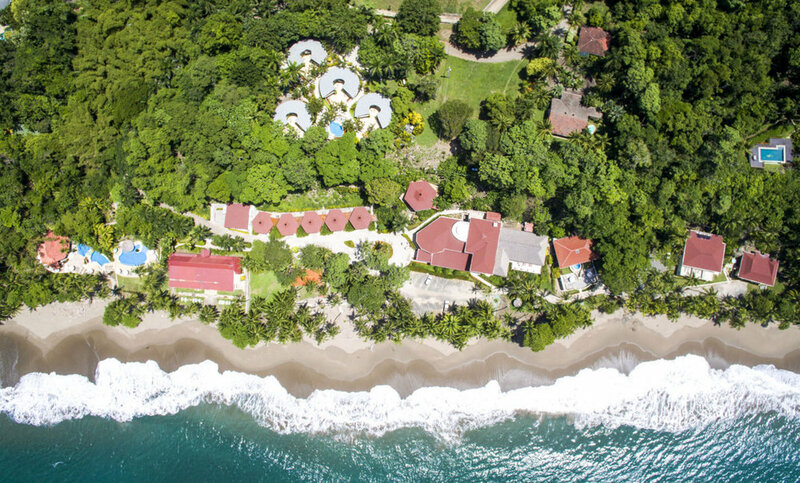 It is located on a 150-acre private beachfront reserve on the Nicoya Peninsula located on the Pacific Coast of Costa Rica. On premises there are two restaurants, swimming pools, spa, tennis courts and a renowned short course golf course. In our fast-pace living, rarely do we take a moment to pause, catch our breath and re-center. Unless we have developed a steady practice of mindfulness and mindful living, the stress of our hurried life accumulates and we struggle to act on our intentions to live a balanced, healthy life. Where do we go to reconnect and realign with our intentions and with our truest Self. Where do we learn the practices and tools to recharge and restore our sense of well-being and live a more balanced, empowered life? We all have destinations we wish to explore. Travels and adventures are uplifting, for they give us new experiences, new perspectives, instill curiosity and sow the seeds of hope. We select destinations for a person like you, living in our modern society, juggling a very full schedule of personal and professional responsibilities and commitments. Yet underneath the daily grind of the day to day, you may be secretly hoping for a respite, an escape, a journey into adventure where beauty, simplicity, comfort and inspiration reside. Our retreats invite you to pause, step back and experience a beautiful, natural and sometimes exotic environment. Imagine learning how to bring more peace, energy, vitality and well-being into your life in an enjoyable, fun and richly dazzling destination setting, Our intention is free your mind, open your heart, expand your creativity and soulfully inspire you to become your truest, most aware and conscious self. Only then can you heal your modern day afflictions, live your healthiest self and most purposeful, fulfilling life. The name “Inspirational Journeys” is exactly what this trip was. I spent five days with strangers – we were from all walks of life and we had all signed up for Inspirational Journeys in search of something. We hiked, meditated, observed our surroundings, and absorbed the teachings of Dr. Nixon and Dr. White. We listened, laughed, shared thoughts and ate together. We built “community” each day. You can find more details on our past retreats here.